There are two common mediums to transfer file from a laptop to Android phone wirelessly and vice versa. They are Bluetooth and WiFi. 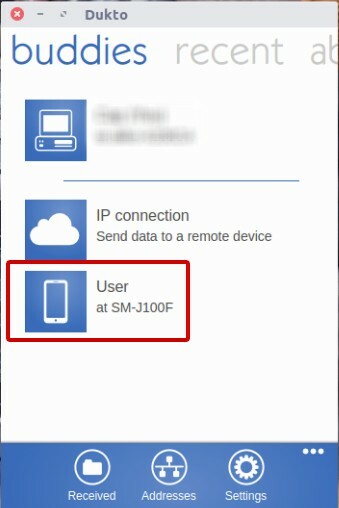 While Bluetooth tend to be suitable for transferring a smaller file, WiFi is better to transfer a larger file. 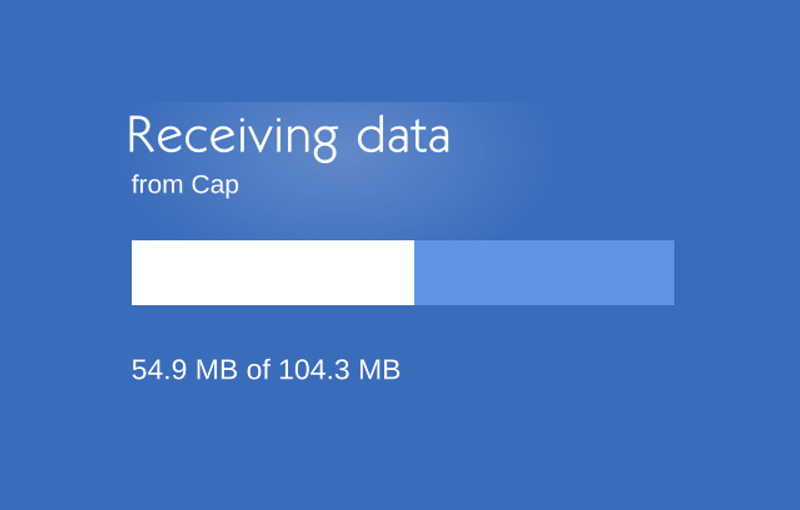 You can share large file via WiFi in just seconds or minutes. If you ask your friends what is the tool they usually use to transfer a large file from laptop/desktop to Android phone over WiFi, chance they will say SHAREit. 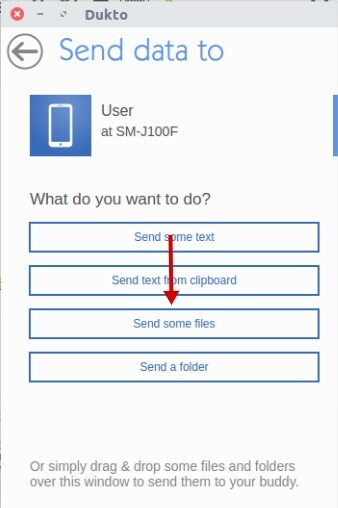 Yes, SHAREit is a great tool to handle the task. Unfortunately it’s limited to Mac and Windows. What abou Ubuntu and Linux generally? Stay cool. There is a good alternative which you can rely on. It’s called Dukto. This tool helps you transferring a large file from Ubuntu desktop to Android phone. Sure, other Linux distros can also use this tool as it’s available for all Linux distros, not limited to Ubuntu. This article will show you how to transfer files from Ubuntu desktop to Android phone. If you use other distros please visit this page to install the tool. First, you need to install Dukto on both devices Ubuntu laptop and Android phone. Visit this page to install Dukto on your Android and execute the commands below to install Dukto on Ubuntu. sudo sh -c "echo 'deb http://download.opensuse.org/repositories/home:/colomboem/xUbuntu_16.04/ /' > /etc/apt/sources.list.d/dukto.list"
Open Dukto in both devices and be sure WiFi on each device has been turned on. You should see your Android phone listed on Dukto in Ubuntu and vice versa, you should also see your Ubuntu desktop listed on Dukto in Android. Click on your Android phone from the Dukto list. You will see four options of the things you can do with Dukto. To tranfer files select Send some files. Select a or multiple files and and click Open. That’s all. Your files will be transferred in seconds or minutes, depend on the size of the files you want to transfer. 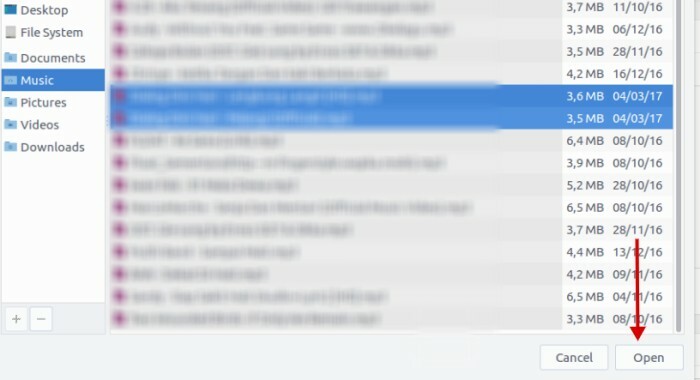 By default your files will be located in the device memory of Android. You can change the path as you want by tapping the Settings button on the bottom.